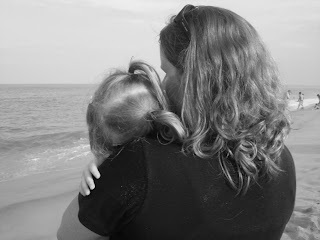 It’s interesting for me to read other mothers blogs about the need to become a better person. I’ve been feeling this need since I was in the hospital holding Andrew. I feel like I need to change, something good must come out of this. Something, anything. I continue to go through a period of personal reflection. I am still changing and wonder where I will end up. Will I be more religious or less? More angry or less? More compassionate or less? Of course I hope for all changes for the better, put it’s like pushing against a brick wall. It’s hard. I am still trying to figure out who I am becoming. I want to do everything I can to become a better person in honor of my son. Hi Kerry, This is a beautiful tribute to your son Andrew. Yes, some good will or has already come from your blog, because you have shared your experience with others. Those people you have shared your story with, now know they are not alone. Their sadness, anger, grief, and hundreds of other emotions ARE NORMAL. It has been almost 7 years since my daughter was stilborn, and there isn't a day that goes by, where I don't think of her, or where I am not reminded of her. The emotions fade, but when you least expect it, come back and bite you where it hurts. Sometimes thinking about Hannah, brings on a smile as I imagine who she could have been, or what she would have done in a certain situation. BTW... I am Hannah's daddy,my wife and I had 2 girls before Hannah was stilborn, they were 7 and 5. Ten months after we lost Hannah, Logan( our boy) came into this world, gave us hope, and allowed us to smile again, it also deepened our sense of loss of Hannah. Three years later we had a litte girl Emmerson, strange how she looks exactly how I pictured Hannah to look as she grew up. So, as I am writing this I am thinking to myself "Self... What is the point of my comment?" The point is life goes on, although never as you imagined it, there will be happiness again, and the memories of your baby will stay with you forever. People ask me how many children do you have and the answer is clearly 5, the next question is their ages, and then they get more than they asked for. But you know what?.... Andrew is part of your life, he is your child, and he is just as important to you as your children here on earth. I thought about the comment you made about the woman at the park.... don't feel sorry for her, you have enlightened her, and perhaps because of your story, and I don't know the details about how Andrew contracted GBS, but your story about Andrew, and how he passed, will be shared by that woman, and could somehow make a difference, some how possibly save another parent from enduring the loss we have experienced. When that first happened to me, knowing that my story about Hannah actually saved a baby from the same fate, it all came together and made me realize that her life, short life, had a purpose, and meaning, which invoked change. ( I can share the details if your would like to hear) Well I have blabbed on your blog way too long. Good Luck, and thank you for sharing Andrew with the world. John MacDonald Father of Jessica 14, Jillian 12, Hannah stilborn 2/3/03, Logan 5 and Emmie 2. I am also the co-founder of Group B Strep International.